I can’t believe that I’m writing this review. Mostly because when you see someone work their tail off and the payoff finally arrives, it can feel like a dream. Enter, THE LEMONCHOLY LIFE OF ANNIE ASTER by Scott Wilbanks, my marvelously talented critique partner. 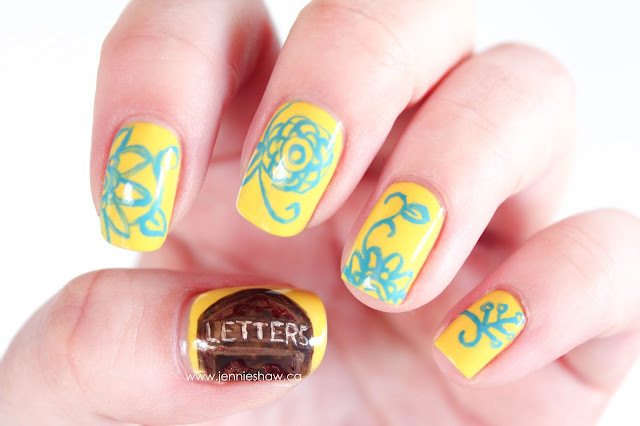 Side Note: In addition to a review, it should come as no surprise that I did a tribute mani, because not only am I so darn proud of Scott that I considered making a sandwich board sign to wear around town advertising his release, but the cover of his debut novel is too pretty for life. From writing my own manuscripts and reviewing books, I learned early on that some authors are writers, while others are storytellers. And after reading the first page of Scott’s work, it was clear that he is the latter. His creation of a world that’s partly based in San Francisco during the mid-nineties and simultaneously in Kansas, a century earlier, flows seamlessly. As a literally-minded gal, I can get lost easily in complex plot, so adding a time-travel element could have been the kiss of death regarding my ability to fall into the story, but that doesn’t even almost happen with THE LEMONCHOLY LIFE. I was sucked in from the very beginning and rode the cresting wave of tension right to the very end. Like most things that are extraordinary, in order to truly enjoy THE LEMONCHOLY LIFE, you must invest in the process and give yourself over to the rhythmic beat of the prose. Scott's not just a storyteller, you see, he's a "proser," meaning that the way Scott delivers his story is just as important as the story itself. Okay, so "proser" may not actually be a word, but you know what I mean. Haha! Don’t shy away from the effort, though. It’s more than worth it. Because yes, his characters are truly original; layered, flawed, deeply feeling characters who immediately feel like real people. And yes, the plot is like driving through a mountain range—extreme highs and lows, sometimes on the same page. But the part that really sets Scott apart is his ability to see beneath the surface and bring that depth to life. It’s the unusual, often ignored aspects of the real world that Scott is a master of revealing, and he does so in his own, beautifully-crafted way. Add that to his extensive vocabulary which produces the most perfect words for any situation, and you’ve got a tale that is unlike anything you’ve read before. So if you can carve out a chunk of time to acquaint yourself with THE LEMONCHOLY LIFE OF ANNIE ASTER, you’ll be privy to a tale about the triumph of the human spirit and friendship, with a healthy dollop of mystery, just in case you needed another reason to pick up a copy. Because, you know, murder makes every story better. Ha! 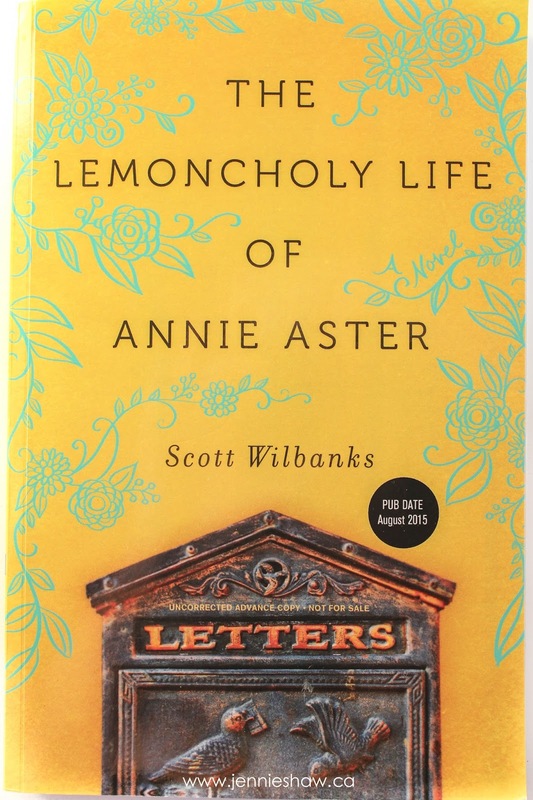 And because I want everybody in the entire world to read THE LEMONCHOLY LIFE OF ANNIE ASTER, I’m giving away a copy! This is an international giveaway, as long as it’s understood it may take a while to arrive, depending on where the winner lives. The rafflecopter will be live for the next week, so good luck! sounds like a great book. 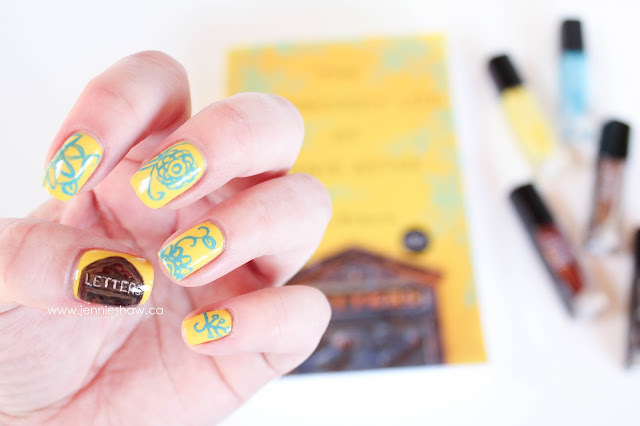 I love how you did a manicure to match the book cover. I happened to come across 'The Time Traveler's Wife' movie the other night on W Network (as one does, of course) and realized that I'd completely forgotten how much I loved that book. The movie did it justice for the most part (I am biased with my love of Rach Mc) but the book - it was so intense and awesome. I assume you've read it? ?